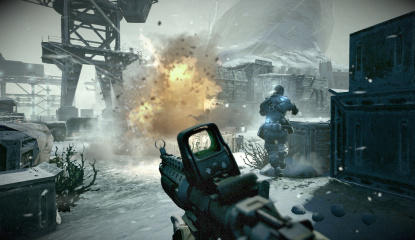 News Killzone 1 for PS3 "Indefinitely Delayed"
News Killzone 3 Dev: "Shooters Will be Played Like This in the Future"
If Killzone 2 could be faulted in any way, it was for its soul-less cast and contrived storyline. 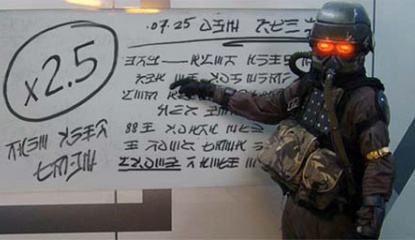 But basing assumptions on this two-minute Killzone 3 story trailer, we'd say Guerrilla Games has learned its lesson. 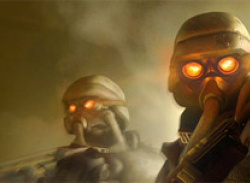 The PlayStation Blog's revealed that two acting legends will be heading up the Helghast's leadership positions in Killzone 3. Malcolm McDowell will play the scheming Stahl..
Will controls be fair for both? 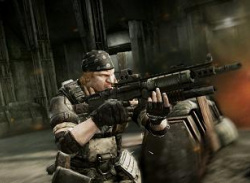 News Ever Wondered What The Biggest Online Game On The Playstation 3 Is...? 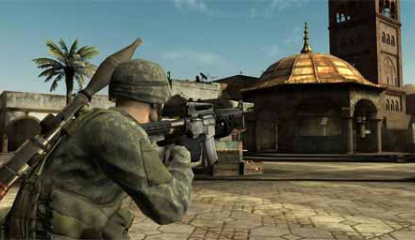 .. SOCOM: Confrontation. SCEA's Mark Rogers is basing this statistic by counting the number of simultaneous Playstation Network connections. He bases the game's success off the community's commitment to the franchise. 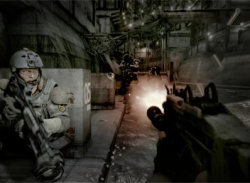 Rogers concluded that dedicated fans will be rewarded by an upcoming patch that will change the scale and scope of the game..
News Guerrilla Will Take A "Step Back" From Killzone 2, Taking Time To "Reflect"
27 for Killzone 2 is available for download now. The patch includes the "high precision" control mode we posted about earlier in the week. 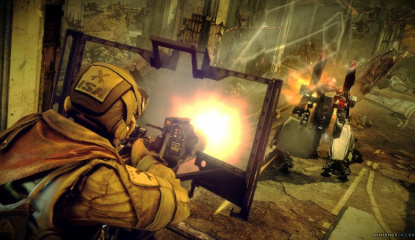 We'll be on hand to give some impressions on the new controls, and whether they lose any of Killzone 2's personality in the wake of making the game a CoD clone to appease "fans". The full list of..
We loved them, it gave the game some personality. But, y'know, they weren't for everyone unfortunately. Hence why a new patch for the game will namby-pamby those who just can't adjust.When this option is switched on, it makes the analog sticks more responsive to small movements. Turned off, the controls behave exactly as they did before..
News Guerilla Games Shower New DLC With Hyperbole: "Best Looking Thing We've Ever Made"
Guerilla have already rolled out one set and we know there is more to come. 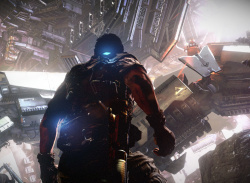 When grilled by Next Gamer, producer Seb Downie claimed the new DLC to be "the best looking thing we have ever made". 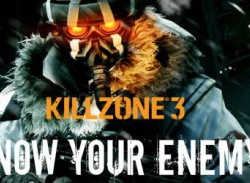 Strong words for a game that looks as good as Killzone 2 does. 24 which launches on April 22nd. The patch also fixes a number of minor things aswell as making connecting to friends that little bit easier. Of course it also paves the way for the upcoming "Steel & Titanium" patch. You can see the full list after..
Keep looking in your crystal balls guys. 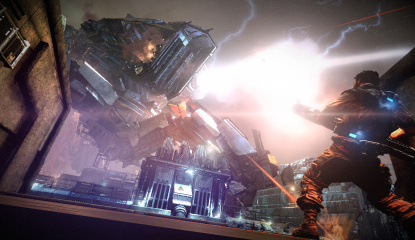 Regardless, there's no doubt Sony's Playstation 3 exclusive Killzone 2 has sold a truck-load. And now that truck-load total has reached way over a million worldwide. Which is excellent news for both Sony and.. However, we can tell you that it's coming soon. April 30th is the date that has been confirmed by the Playstation Blog and we simply can't wait to get fragging on "that train level from single player that everyone thought was awesome". 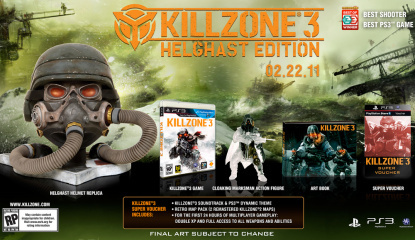 News New Killzone 2 Map Pack Will Be Free? The rough translation reveals:"The packet is from April 30 in the PlayStation Store and is offered free to download, as Sony Computer Entertainment announced Friday. 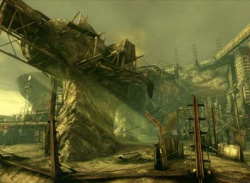 "</blockquote> Treat this as speculation until we get official word, but,..
A new map pack titled "Steel & Titanium" will be available by the end of April and includes two new maps: the ISA tech cruiser provides for a very vertical map whereas the train-level makes a reappearance in the form of, what looks to be, one of the best multiplayer maps we've played for a while. 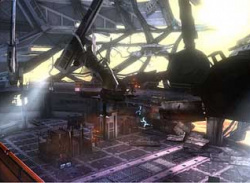 Seriously, the..
News Killzone 2 Directors Commentary, "Behind The Bullet"
Finally putting a rest to all the criticism Sony took as a result of the infamous Killzone 2 trailer in 2005, Sony have silenced critics by releasing a fully interactive version of their in-engine commercial. 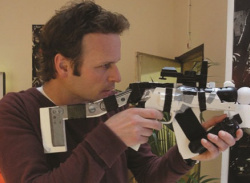 Going hand in hand with that, Sony have also.. It currently sits pretty atop the video game charts in the UK, outselling rivals Halo Wars and last weeks number one Street Fighter IV. It marks an end to Sony's two year long drought from the chart top, the last being God Of War II all the way back in April 2007. See the full charts after the jump. 1. 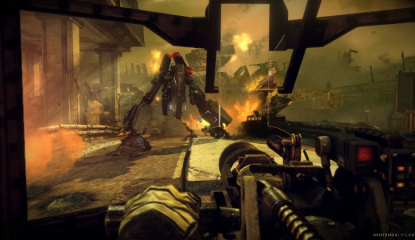 Killzone 2 (Sony)2. 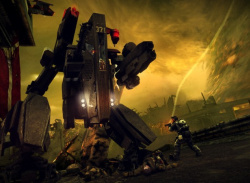 Halo Wars..
News Killzone 2 Out Everywhere As Of Today! 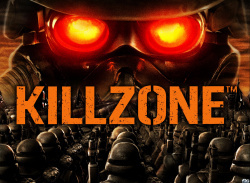 Killzone 2 is out now. I'm sure you'll excuse us while we spend a long weekend playing the game we've been writing about for weeks and weeks. Hey, if you want to hit us up will be on PSN all day — PSNID is "get2sammyb". We'd love to play with you guys! 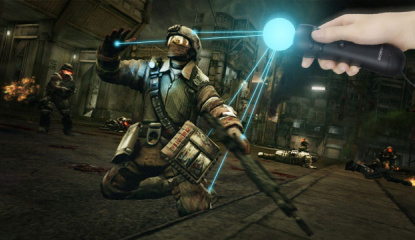 Orders for Guerilla's FPS exceeds those of other anticipated PS3 titles such as LittleBigPlanet and Resistance 2. We're looking forward to playing with everyone tomorrow. See you online! 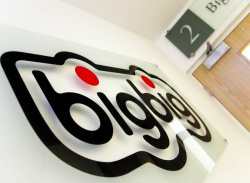 co.uk</a> and Play.com are arguably the two biggest online retailers of entertainment products in the UK. 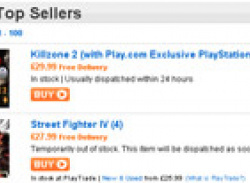 Both companies have been showing Playstation 3 exclusive Killzone 2 as their top seller for some time. The game has lingered in the top 10 of Amazon's top 10 hourly sales list for a good 2-3 months now. 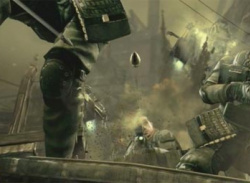 Furthering predictions that Killzone 2 is in for a bumper first week of sales,..
News The First Killzone 2 Advert Is "Released"
Advertising has been sparse at the very least. Reviews dropped months ago. The hype has died down a bit. Well it had until we saw the above advert and got all excited again. 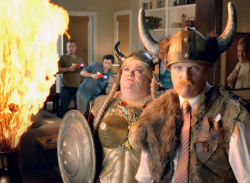 While we think the advert is totally cool, we wished Sony had opted for a more... gameplay based approach. 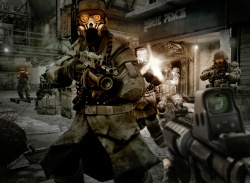 All the same - if we knew nothing about Killzone 2 and saw that,.. Presumably it's just a build up to the full on campaign that will run on launch week. What do you think? 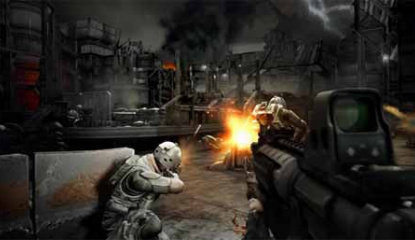 killzone.com</a>. Not only will the site track your stats but also award you with printable prizes for any intel you collect in the game. Posters are one of the things that will be unlocked for print. 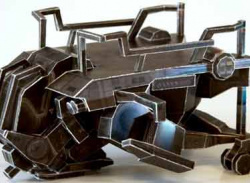 Papercraft is the other. How cool is that, reader? 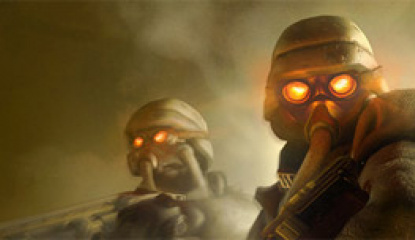 The Killzone 2 demo is now on the European PSN. It's 1207mb in size. 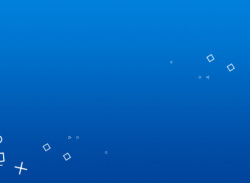 The PSN seems to be running fine for the moment but we're expecting things to come to a crunch shortly. We'll keep you updated. Tell us what you think. It's going to hit the Euro PSN servers approximately 5PM according to a Sony representative. We'll have our full hands-on impressions tomorrow. Personally we think they're both dumb and hilarious at the same time but we understand the point they're attempting to make. Much like a famous Call Of Duty 4 quote, Sony seem to think they may have "lost the battle but not the war". 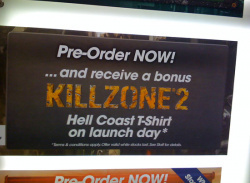 And what better bomb to drop than to claim Killzone 2 has had a whopping 1.1 million preorders at 3 weeks..
That's mere days away readers. The demo will feature the first two sections of "Corinth River" and a tutorial section from the final game. Colour us excited. How did the game fare? 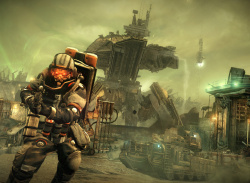 We've compiled a list for you to see: Eurogamer - 9/10.Taken as a whole, Killzone 2 doesn't initially seem to offer enough to justify the superlatives that have been dutifully set aside by the PS3 faithful. Despite the often-stunning graphics, it's often derivative of other titles and doesn't - on the surface - seem to have much.. Nevertheless Sony thought it was somehow important to bring the reviews embargo forward. 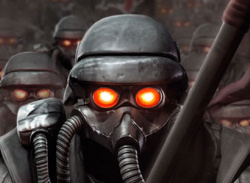 Thus, we'll be seeing a good few reviews for Killzone 2 drop tomorrow. Eurogamer have already openly hyped the 5PM (GMT) release of their review and we expect many others will follow. 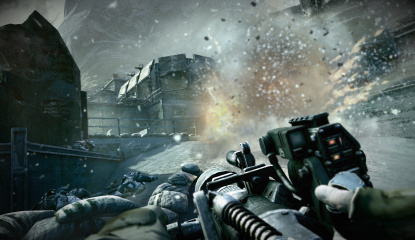 Make-or-break time then Killzone 2 fanboys/haters. 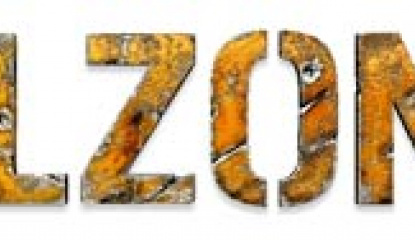 According to the Playstation Blog Killzone 2 is going to be "everywhere". "Thanks everyone for the positive reception! I can confirm that we definitely have Trophies in the title," also adding "And I can also say that you will be seeing Killzone 2 ads.. In the early days of Playstation you couldn't move without seeing the brand everywhere. Snowboarding events, skateboarding events, football matches. These days you rarely see a Sony game advertised anywhere. 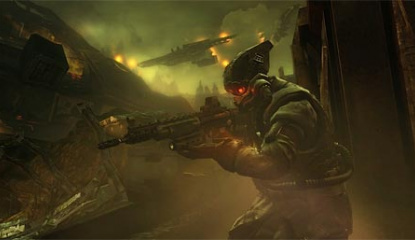 Imagine our delight when we heard that Killzone 2 was getting to get a little bit of promotional space within UK (and Aus) video..
News How Do You Ensure Approximately 341,091 People Buy Killzone 2 That Have Never Ever Heard Of It Ever Before?